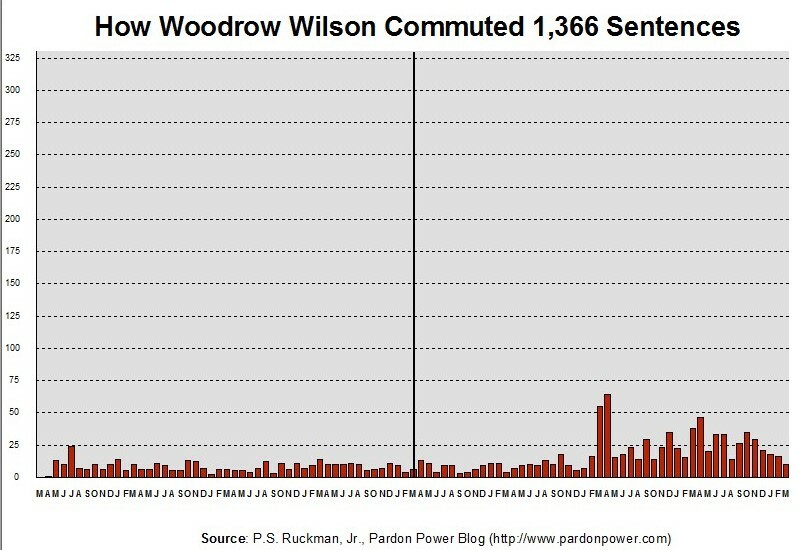 Obama v. Wilson. A Contrast in "Record Setting"
Today, the White House proudly announces that President Obama has granted more commutations of sentence than any president in the history of the United States. It is true. 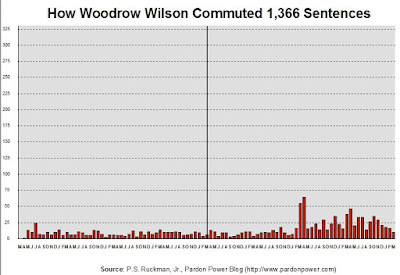 With 209 commutations of sentence, today, Obama has officially passed Wilson's mark of 1.366 by 19. 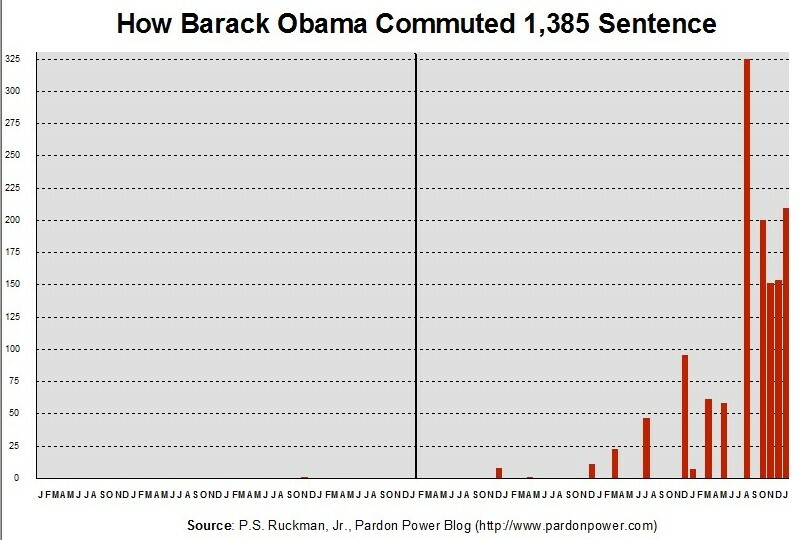 We think the data speak for themselves. It's time to move the clemency process out of the DOJ (where it has not always been) and relocate it in the Executive Office of the President of the United States.